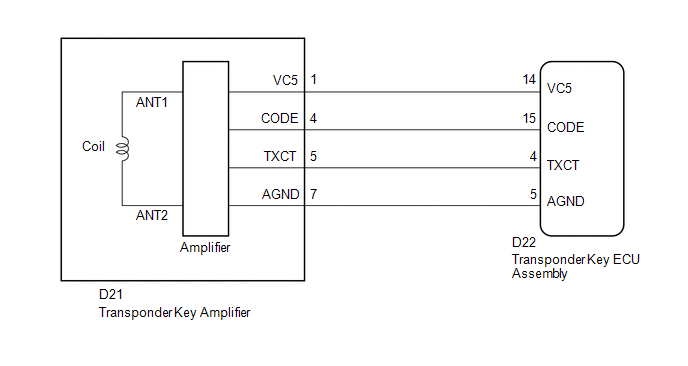 The transponder key coil is built into the transponder key amplifier and receives a key code signal from the transponder chip in the key. 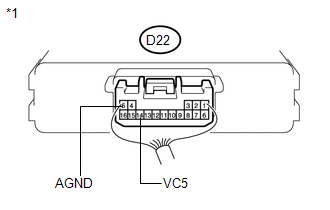 This signal is amplified by the amplifier, then it is output to the transponder key ECU assembly. On the Techstream screen, the item displays Normal according to the chart above. 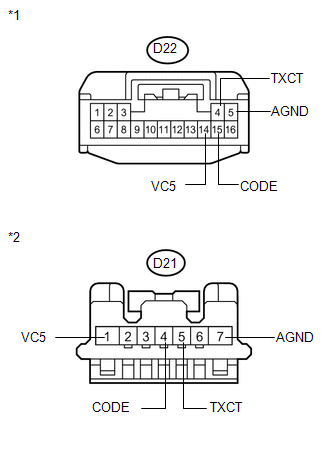 (b) Disconnect the transponder key amplifier connector. (b) Reconnect the transponder key amplifier connector.